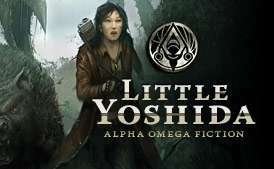 Includes all ten epsiodes of the Little Yoshida saga. Life outside the "civilized" arcologies is a deadly gamble, and those who want to travel the Wilds know to rely on savvy guides like Little Yoshida to get them where they need to go. But when a simple expedition turns out to be more than meets the eye, Yoshida is faced with a horrific decision. Will she help the corporations she hates achieve goals she abhors, to save the companion she loves? Sacrifice or compromise? Solitude or self-loathing? Which path leads to the lesser hell? Includes all ten episodes of the Little Yoshida saga.